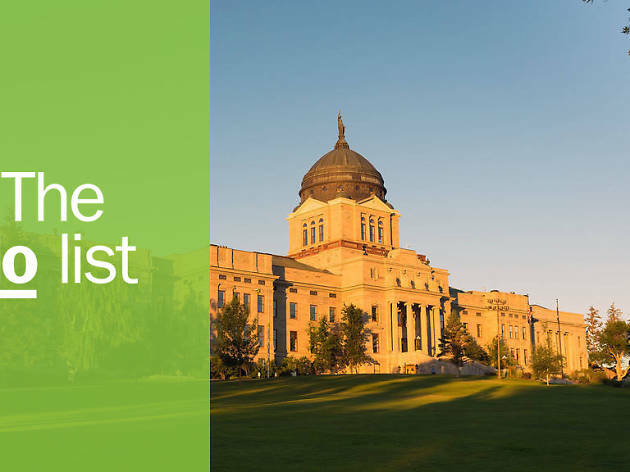 Looking for things to do in Montana? Here are the most exciting attractions and excursions. Montana lives up to its nickname of Big Sky Country, with wide-open plains and star-studded skies. 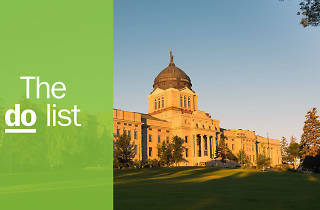 It’s a state whose livelihood was built on agriculture (Montana’s ratio of cows to people is roughly 2.6 to 1) and whose tourism industry has only recently gained national attention. New visitors may be shocked by how dark the nights are, how spectacular the sunsets are and how quiet the mornings are. Stay a few days and you may find it hard to drag yourself back to the city – the fresh air and kind people have a way of getting into your heart. What is it? 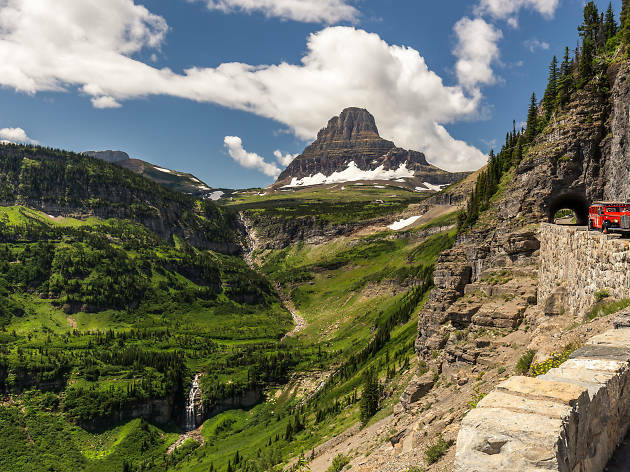 A treacherous 50-mile drive through Glacier National Park, ending up at Logan Pass, 6,646 feet above sea level. Why go? Catch cheap thrills (it’s free) around every corner of this engineering marvel, which is usually open late June through October, weather permitting, and is on the National Register of Historic Places. The view from the top is worth the hair-raising drive. What is it? Combined with Moonlight Basin, this is the largest ski resort in the US, with 5,800 acres, 4,350 feet of vertical and more than 250 runs. Why go? Skiing is a given, but during summer, swap skis for shorts and prepare to mountain bike, zipline, hike, play disc golf and more. 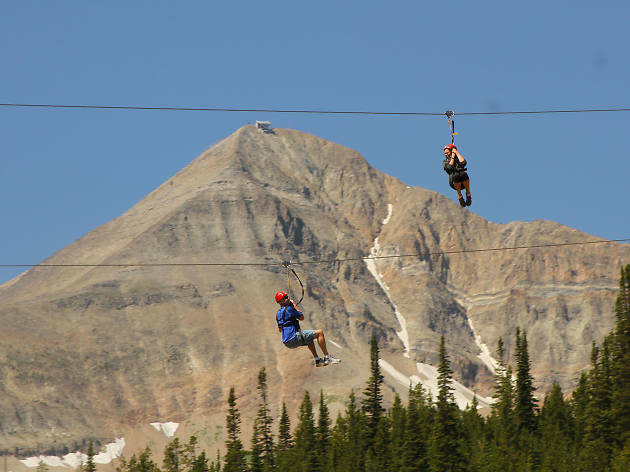 Find your Rocky Mountain high aboard the Lone Peak Expedition, which transports you via chairlift, expedition vehicle and tram to Montana’s highest scenic overlook at 11,166 feet. What is it? 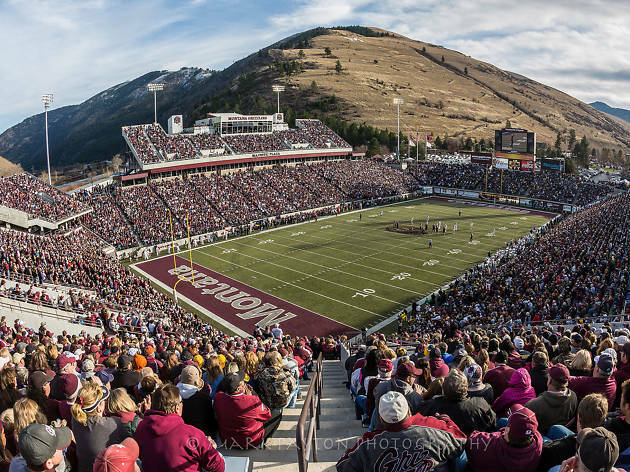 A 25,000-seat stadium, set 20 feet below ground level, that’s home to University of Montana Grizzlies Division 1 football in Missoula. Why go? Jump on the maroon and silver bandwagon to cheer on the Griz with one of the loudest crowds in NCAA football. Arrive a few hours before kickoff to revel in pre-game activities and grab a bowl of the best jambalaya West of the Mississippi at the Business School tailgate. What is it? 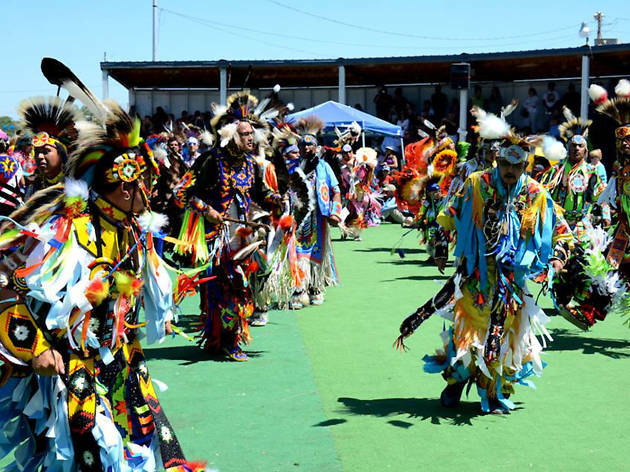 A four-day cultural event held every year in July to celebrate traditions of the Blackfeet Indians. Why go? The powwow grounds in Browning are filled with tipis and wall tents during one of the largest gatherings of US and Canadian indigenous people. Get lost in the beat of the drums and be enraptured by the fancy dancing – then join in. What is it? 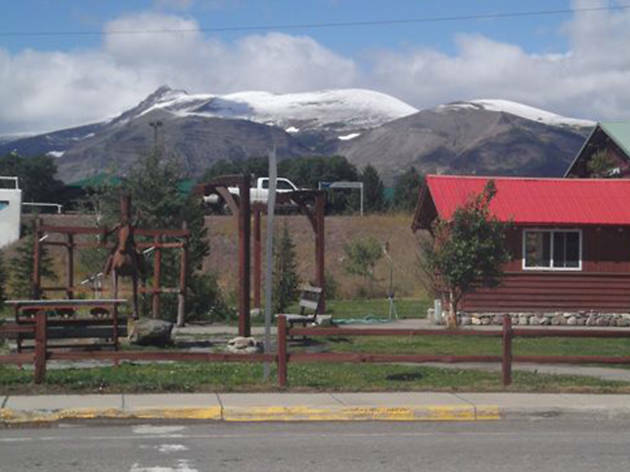 A tiny local restaurant in East Glacier Park, serving breakfast, lunch and dinner all summer. Why go? Breakfast, burgers and BLTs made on the grill right behind the counter are great, but come for a giant slice of all-butter, double-crust huckleberry pie made by local Rock ’n’ Roll Bakery. Montana is one of the few states that produces huckleberries, which are similar to a small blueberry in appearance but more tart. What is it? 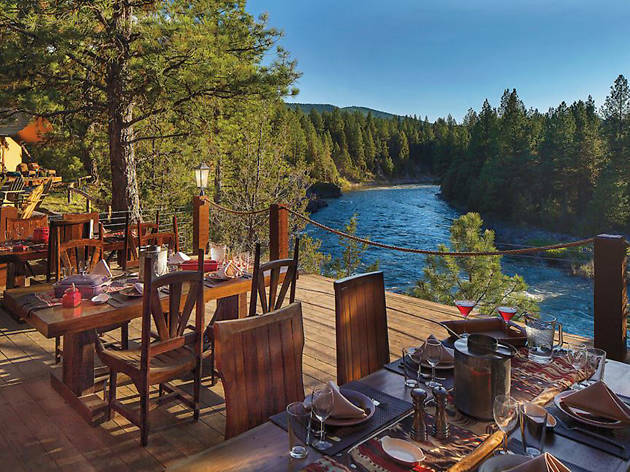 An all-inclusive resort occupying 37,000 acres of wilderness in the Blackfoot Valley, about 30 miles outside Missoula. Why go? If you only choose one activity from the dozens offered here, make it the cattle drive. This three-hour experience led by the resort’s equestrian manager will have you saddled up on a horse to fit your personality (Coalie is a favorite) rounding up down cows, sheep and a few stray goats in a few minutes’ time. What is it? A peace-inducing garden just north of Arlee in the Jocko Valley. Why go? Quite an unusual place for a state with less than 1 percent of its residents following Buddhism, this rural garden is designed to awaken your natural inner feelings of joy. 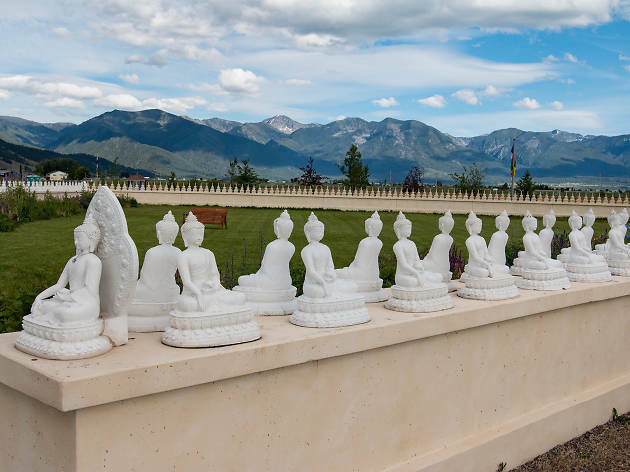 Take a guided tour of the white Buddha statues or explore on your own to take a mental break during a long drive across the 560-mile-wide state. What is it? 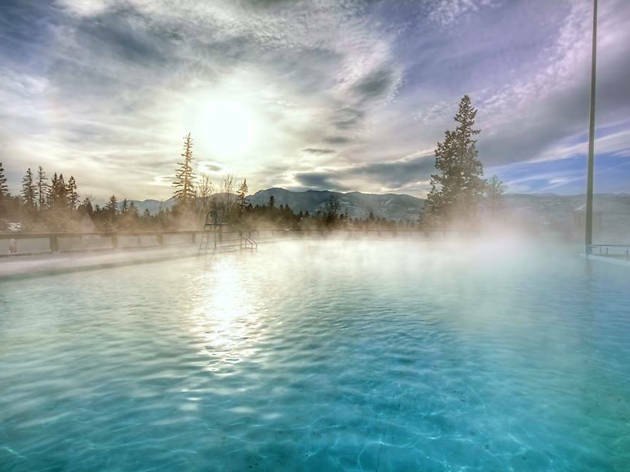 A resort built over natural hot springs about 20 minutes outside of Butte. Why go? Relax in two Olympic-size swimming pools and two mineral soaking pools filled with natural hot spring water, or feel like a kid again screaming down the outdoor waterslide. Then head to the on-site Whiskey Joe’s Lounge for local microbrews and live music. What is it? An underground tour of Havre, a remote city on the Montana Hi-Line – an area known for its wide-open prairies, wheat fields and pastures, near the Canadian border. Why go? You’ll feel like a secret agent exploring businesses that moved into steam tunnels below the city when a fire destroyed much of the town in the early 1900s. 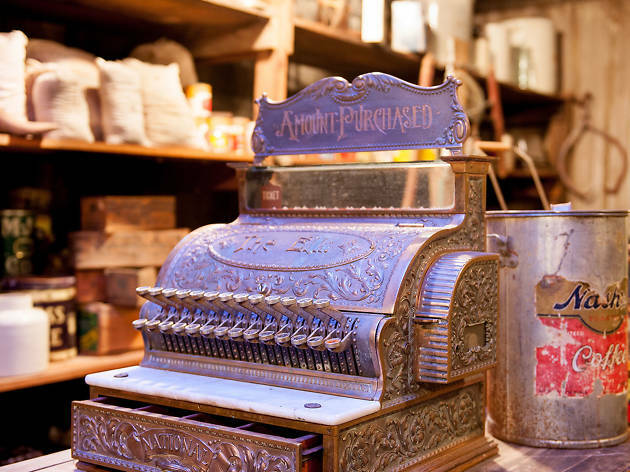 Tour a saloon, restaurant, opium den, a Chinese laundry spot and even a bordello. What is it? 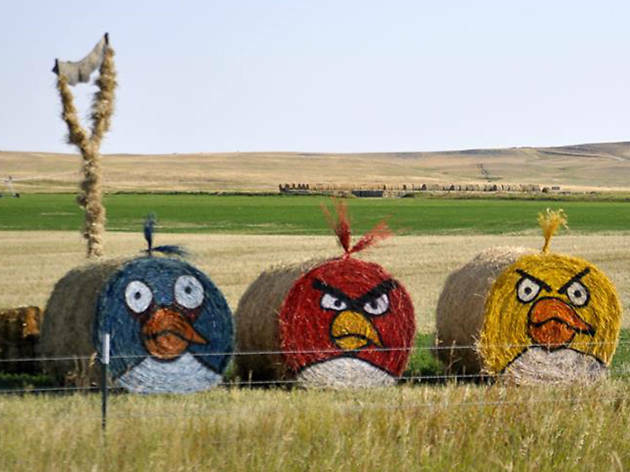 An annual event held in Hobson the Sunday following Labor Day, featuring amusing sculptures made of hay and straw. Why go? 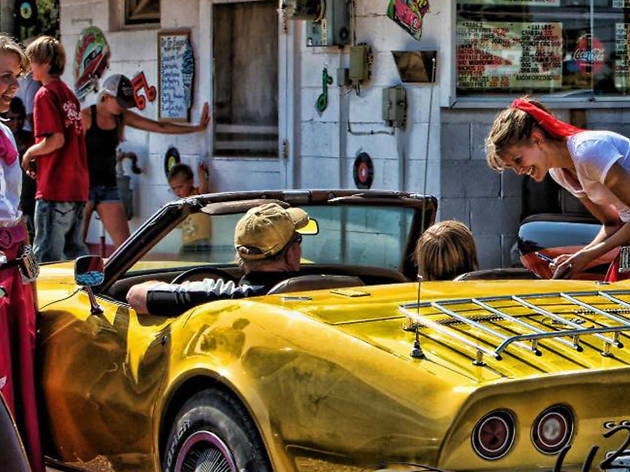 Gas up at Eddie’s Corner – the dead center of the state – then begin the day with a homemade hot breakfast in downtown Hobson before hitting the, ahem, hay. Pack your cowboy boots to check out more than 50 entries scattered around the 22-mile loop in central Montana. What is it? A 1950s-style drive-in in Conrad with carhop service, known for its huge menu and amazing milkshakes, open only during summer. Why go? There’s no better way to cool down on a hot Montana afternoon than with one of Main Drive In’s 50-plus milkshake flavors (try the cookie dough – it’s extra chunky). For food, get a 100 percent Montana beef quad burger (with four patties).